Practice makes perfect they say. For us gun enthusiasts, practice means lots of time spent out on the range honing our aim, as we fire round after round into our paper targets. To do this, there are a few essentials that every gun owner should have on hand, but having a target stand certainly should be placed someone at the top of that list. While most shooting ranges will provide you with targets and a stand or hanging target clips to use for your practice session, having your own is always a good idea. 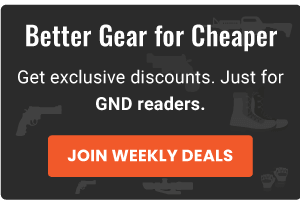 If you prefer to practice your shooting skills on your own land (check all local gun laws before doing this) or are a member of a shooting club that only meets up every so often, you really need to have your own stand. 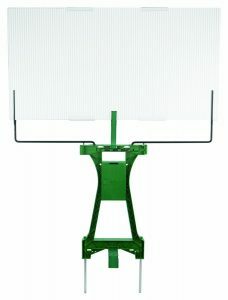 If you are in the market for a new target stand, you have come to the right place, because in this article we are going to take a quick look at the top 3 shooting stands available currently. The G5 Outdoors Adjustable Metal Target Stand is the perfect solution for any novice shooter looking for a target stand that is simple, yet well-built and requires no assembly whatsoever. This is a no “no frills” sort of target stand. It is simply your basic metal construction with 4 stake holes for your wooden uprights and features a powder coated finish. The only issue that some may have with this target stand is designed as one whole piece. So, while it is indeed adjustable, it can only adjust from 18” wide to 24” wide at its max. This can be a bit restrictive for more seasoned shooters who want the flexibility to fit custom target sizes into this target stand. 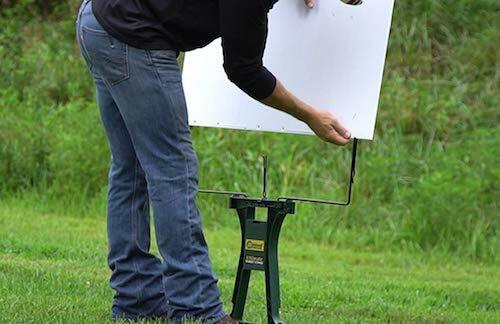 Whether you are a novice shooter needing to get in a little target practice here and there, or you are a seasoned shooter just looking to save a few bucks, the G5 Outdoor Adjustable Metal Target Stand is exactly what you need. If you are in the market for a stand that you can just pick up and go… Caldwell has got you covered with their Ultimate Target Stand. This target stand is designed to do 3 things: Be easy to transport, be easy to get set up or folded up and be able to withstand all sorts of weather conditions. That’s right, this little target stand is constructed of an all-weather, moisture-resistant material. One of the biggest sellers about this stand is the price tag. It is inexpensive in proportion to what you are getting for your money. The second one is the fact that it comes equipped with removable ground stabilizers to give you another layer of support for those times when you may be faced with harsher than normal wind conditions. 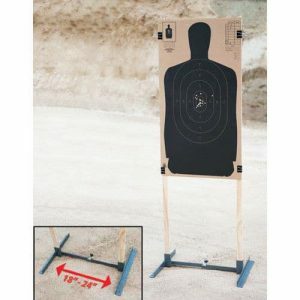 The extra-large backer board that comes with this target stand is also another feature that I quickly fell in love with as it can accommodate up to 2- 16”x16” targets. The CTK Precision P3 Ultimate Target Stand is a fully adjustable stand consisting of two angled legs made of a heavy 14-gauge metal construction. This design allows the stand to accommodate literally any size target. Simply insert a 2×4 of other types of brace between the legs and adjust them accordingly. Thanks to the angles design of these legs, you get a stable 4-point stance that allows the stand to remain stable even on a bumpy, rocky, or uneven terrain. 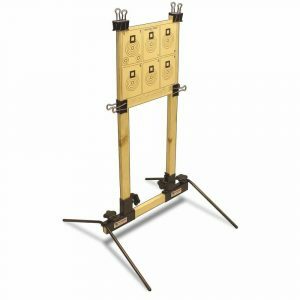 The clamping plates are extremely secure and firmly grip and hold onto the furring strips (furring strips for this target stand are sold separately) rather well. The best part is that you can get this stand up and ready to hold your target within minutes and breaking it down when you are done is even easier. 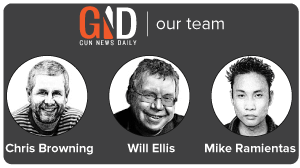 Everything can be assembled and adjusted by hand, no tools required. Obviously, when you are shopping around for a new target stand, you need to consider the overall build quality first and foremost. You are going to be firing live ammunition at the target you’ve attached to the stand. But what if you miss the target completely and hit one of the legs on the target stand? Is it going to be able to withstand such an impact? If not, you either better have excellent aim or find a target stand that can take a little abuse. I recommend the latter because even the best shooters in the world occasionally miss a shot. Secondly, the smaller parts that are used to hold your target stand together need to be of the same high quality as the legs. If it has tightening knobs and clamps, they need to easily screw on or unscrew when it’s time to pack it up. But most importantly, they need to be able to hold their grip even under large amounts of tension or friction caused by accidental impacts to the stand. Any screws or other metal parts should be made of a heavy gauge metal. Whatever target stand you finally decide upon, if you just make sure that it is adjustable for all size targets you plan on shooting and that the materials it is constructed from is of the highest quality available, you will be just fine. Target stands are an essential piece of target practice, so take your time, look at our top 3 picks and do a little bit of your own research and you’ll be shooting like a pro in no time. And don’t forget to toss a shooting rest in your range bag as well before you head out for some shooting practice. The more stable, the better I always say. Have we left a target stand off this list that you believe deserves a little love? Let us know about it in the comments section below and tell us why it deserves a spot on this list. Who knows, maybe we’ll include it in a future review.